I am often asked by friends and clients if Satellite radio has had a negative impact on our business. I always respond that it has not. I then go on to say that as long as radio can stay relevant and local it will always have a place with listeners. Unfortunately, in Arizona we had a terrible tragedy last month with the senseless shooting in Tucson where scores of people were injured, killed and Congresswoman Gabby Giffords was shot through the head. Radio jumped in and did an incredible job keeping the community informed on the developments as they happened. In Phoenix, props go out to KTAR and in Tucson to Journal Broadcasting for their live wall to wall coverage. While this was a very sad situation, as a broadcaster I was proud of our industry and as a citizen, I was grateful for the coverage. Today, as I write this post, there are terrible snow storms blanketing the East and Midwest. Once again, radio prevails and is keeping the many communities impacted up to date. Radio Ink Publisher Eric Rhodas sent out a great message on the power of radio. For all the naysayers about over the air terrestrial radio, this is a compelling piece on why radio won't go away. This is what radio is all about, Serving the community and keeping everyone informed. Once again, I could not be more proud to be a broadcaster! 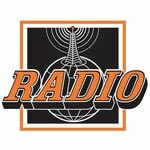 As the storm of the century is wreaking havoc on our nation, with record snowfalls, high winds and ice storms, traffic disasters, and difficult conditions for most people, America turns to its radio. It is radio that, in these difficult moments, is a beacon of its community. This week, as record storms gather further steam and piles of snow tower over the roofs of homes, people are finding themselves stranded, with no power, no Internet, no television, no newspaper, no cell coverage, and no line of communication to the outside world. It is radio, and only radio, driven by a set of batteries, that comes through. Few Americans own a portable battery-operated television, but virtually everyone has a battery-operated radio. Come sleet, or hail, or snow, when even the Post Office cannot get through, radio always gets through. It is times like this when I'm most proud of our industry. I'm hearing stories of teams of radio soldiers sequestered in transmitter-location studios, working 48-hour shifts to keep their stations on the air and their listeners informed. Some are coordinating with local ham operators who are gathering information, others are putting listeners on the phone so families can communicate their needs and their messages to the family members they cannot reach. Stations are braving the cold and ice to gather reports about their communities, and most city officials have no place to turn but radio to communicate vital information. Though these radio people would rather be home with their own families, they are contributing to the greater good and coming to the aid of their radio listening families. Moments like this define radio, and these are the times when station loyalties are solidified as consumers find radio is their lifeline to their communities. Though entertainment value is important, at all times the needs of the community trump every format standard. It is this time when your content must report, reflect, and empower your audience with information relevant to their needs. Those who run their automation without acknowledging the circumstances and without storm content will appear irrelevant. As this storm of the century intensifies, more services will go down and the community will have even deeper need of their local radio stations. People automatically turn to their radios at times like these, and that is a reminder of our true value and our deeper purpose as an industry. Those of us living in areas less affected during this storm remain grateful to those of you throughout the U.S. who are making great personal sacrifices to do what radio does best -- serve our communities. Snarky/perhaps nitpicky point: "...shooting in Tucson where scores of people were injured, killed..."
Score = 20, so "scores" ≥ 40. I believe the actual number is 19. I was born in Chicago in 1959 and have been in radio since I was 14 years old. I am the General Manager of KAJM FM and KNRJ FM, married, have two daughters, two dogs and live in Paradise Valley, Arizona. This is a personal web site, reflecting the opinions of its author. It is not a production of employer, and it is unaffiliated with any strategic partners, vendors, clients and content providers. Statements on this site do not represent the views or policies of anyone other than myself. The information on this site is provided for discussion purposes only.